I play games, look up differnet things, make flyers, etc. Computers are important because we use them in every day life. They help us with work, and they run our machines. I think that DTP means creating unique documents on a computer using specially designed programs like Microsoft Word. I would like to master the Word program. I’m pretty good in Word now, but I think that I can still learn lots from it. I use computers to do my homework and to play video games. I want to learn how to wright faster. Also how to make the computer faster. 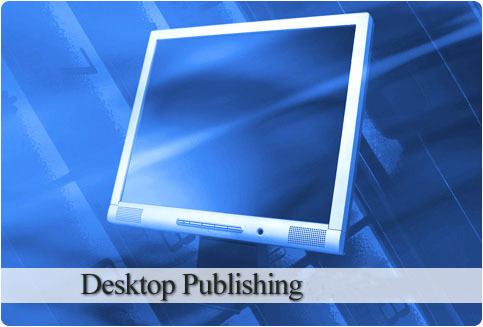 Desktop Publishing is a devise to combine using computer with a page layout software such as Microsoft Office to create documents for either larger or small documents. Computers are important to me because they make work easier. They give off entertainment. and have pics. computers are important because they can help you in the world.some skills i want to learn is how to make diffrent things so i can help people and it could help me in the future. desktop publishing is a specific software. Hi im IFTIKHAR and i want to know how the desktop publish. If you like that to tell me then thnkx and tell me please! You Use Computers Because They Are Worldwide Internet Resources. You Can Do Your Homework By Researching And Typing Stuff In MicroSoft Office Word. You Can Also Search Engines Like Bing & Google. The Computers Are Very Important To Us!! My Desktop Publishing Skills I Would Like To Learn Is How Do You Add Word Art?! Desktop Publishing (DTP) is using microsoft word and other softwares to create documents. Computers are very important becuase they help us get knowledge. i would like to learn how to use power point presentation. Desktop publishing shows me that i can put layouts in my documents. Desktop publishing is combined of using computer layouts to create what ever you wished to make your page look awesome. Computers are amazing devices. Everyone uses them for almost everything; finding directions for a restaurant, keeping in touch with a friend, researching something for school or work, or advertising a business. I would like to learn mostly everything about DTP. Desktop Publishing is something very important that will probably help me in the future. For DTP, I mostly use MS Word. I use computers to go on social networks, do research, use MS Word, etc. Computers are used everyday, and everywhere to make life a whole lot easier. Computers are import because they keep me connected to the outside world. I would like to learn how to konw how to use all of Desk top publishing. I would like to learn to write a business letter, create an events calendar, to even research a news article. Computers are important because without them there will be less ways to communicate, play games, research, and there will be less social network without computets. Everybody likes using a computer every day for these reasons. i use MS Word for desk top publishing. Desk top publishing are some soft wares. in microsoft word is in desk top publishing. It helps with a lot of knowledge to use desk top publishing. « What made you feel like you were growing up?